KOWR’s goal is to support Polish producers and exporters of food by building a positive image and brand awareness of Polish food abroad. The National Support Centre for Agriculture (KOWR) is the main institution implementing promotion measures in the agri-food sector in Poland. Its goal is to support Polish producers and exporters of food. Building a positive image and brand awareness of Polish food abroad under the “POLAND TASTES GOOD” slogan is one of the KOWR’s main challenges. The “POLAND TASTES GOOD” slogan emphasizes excellent flavour and the highest quality of Polish food products. It is an answer to the growing demand for healthy food produced with care for the environment, on the basis of traditional technologies and methods. The KOWR’s foreign promotional activities in 2019 will focus on 13 markets: China, Czech Republic, Germany, Hong Kong, India, Indonesia, Israel, Japan, Mexico, United Arab Emirates, Vietnam, South Korea and Thailand. The aim is to exploit the import potential of those countries and to build awareness of the quality of Polish agri-food products in new regions. The KOWR is also considering promotional measures in other prospective markets. The KOWR supports Polish companies in the agri-food sector in their efforts to enter new markets. 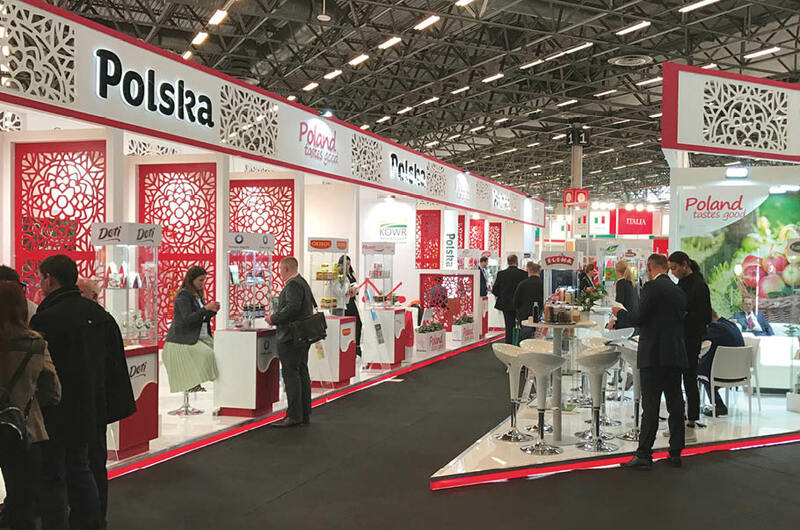 Acting as an intermediary between Polish and foreign operators, the KOWR implements measures aimed at putting potential trading partners in touch with each other by organising economic missions and national exhibition stands during international food fairs abroad. It also organises economic missions for foreign importers to Poland. In addition, the KOWR helps Polish companies by organising informational meetings on doing business abroad. The KOWR organises a wide range of events promoting Polish food and culinary traditions. 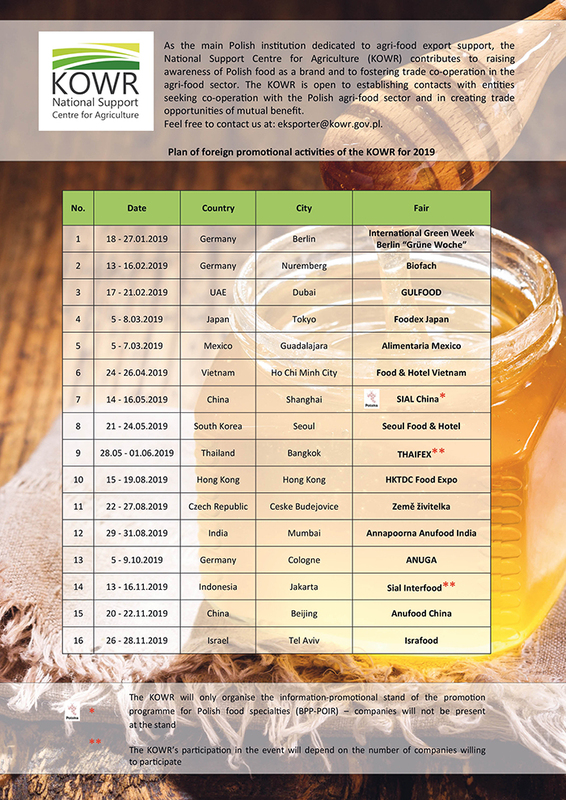 It also participates in ventures organised abroad by Polish diplomatic missions and other government institutions in order to promote high-quality Polish food. The KOWR analyses and distributes information on the situation on Polish and foreign agri-food markets. The KOWR also supports branch and interbranch organisations through the promotional and information measures accepted by the European Commission under the Common Agricultural Policy.